I’ve been a big fan of the Irish writer Melissa Hill for quite a while now so I was really looking forward to reading ‘Please Forgive Me‘ which was one that I had not yet read. It contained lots of the elements that you would expect from Melissa Hill and it was an enjoyable read although, for a couple of reasons, I did not enjoy it quite so much as others I had read from her. At the start of the book we meet Leonie who is ‘running away from home’ even though she is in her thirties! We don’t know what has led her to this but it definitely involves her fiancé Adam. As is usual with Melissa Hill, she has a way of teasing her reader by eking out the information she supplies about her characters which means that you keep coming up with your own scenarios. This is definitely what happened with me when I was reading Please Forgive Me. Leonie ends up in San Francisco, where through finding a job in a florists and making good friends with her neighbour Alex (also female) she starts to put the past behind her. However, in the apartment that she rents, she discovers some unopened letters addressed to a woman called Helena Abbott that start to intrigue her. Although she knows that she shouldn’t, she opens and reads one and this sets her on a quest to find out more about both sender and recipient of the letters. She is made more curious because the sender of the letter is begging for forgiveness but he does not say why. This was an intriguing tale but I have to say that it took longer to hook me in than other Melissa Hill books. As Leonie continued to open the letters, I found them quite annoying as they were so repetitive and I felt quite unconvincing. I think that they could have held a little more substance whilst still being enigmatic in order to keep the reader guessing. Alongside this there was also the mystery as to why Leonie had fled her home in Dublin. There were flashbacks included throughout that helped to piece together her former life and I really enjoyed these as they helped to find out more about Leonie. There were incredibly heavy hints that something absolutely awful had happened and I couldn’t think what it might be that was so awful so that meant my brain was going into overdrive. As you would expect, you do find out at the end and I couldn’t help feeling a bit disappointed as I couldn’t understand why the catalyst was quite as dreadful as was made out. Maybe that was just me though. Having said that though, I did like all the characters and the story was well paced with a lot of smaller stories fitting in. I think the trouble for me was that, having read a few Melissa Hill books, I sort of knew what to expect and therefore some of the surprises were a bit too well signposted. However, she is very good at dropping in the unexpected and I’m sure that you wouldn’t be able to guess a lot of the background to either mystery. 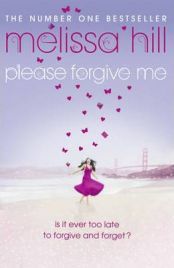 Please Forgive Me is not a bad book but it is also not one of Melissa Hill’s best. If you have not read any, I would suggest taking a look at Before I Forget or Not What You Think which I do think are a lot better. However, I am glad that I read this book too. No Comments on "Please Forgive Me"